If you’re newly diagnosed with celiac disease, then I’m sure you’re feeling overwhelmed with how much your life is changing! I don’t mean to throw a wrench into things, but I believe strongly that knowledge is power… so the sooner you’re aware of certain things, the quicker you will feel better and take control of your health again! Cross-contamination is something I’m so passionate about (I know I say that often!) because unfortunately no one told me about it (yes, not even my doctors or nutritionist) and I learned the hard way. I went over a year thinking I was working so hard to be gluten free, yet still sick and couldn’t figure out why… which was beyond frustrating! As soon as I learned about cross-contamination I was able to make big adjustments and regain control of my health (and life)! 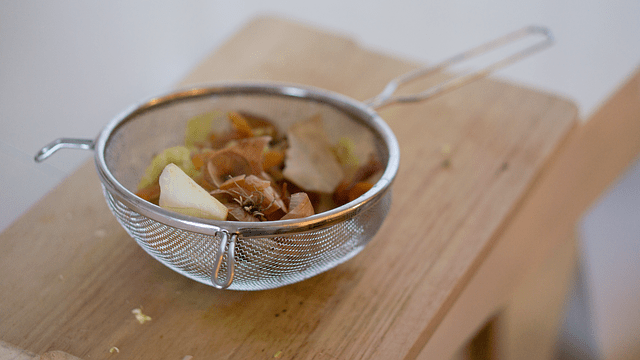 When we think of cross-contamination most of us think about eating at restaurants or at other people’s houses… yes, this is true… but let’s start a little closer to home… YOUR kitchen! 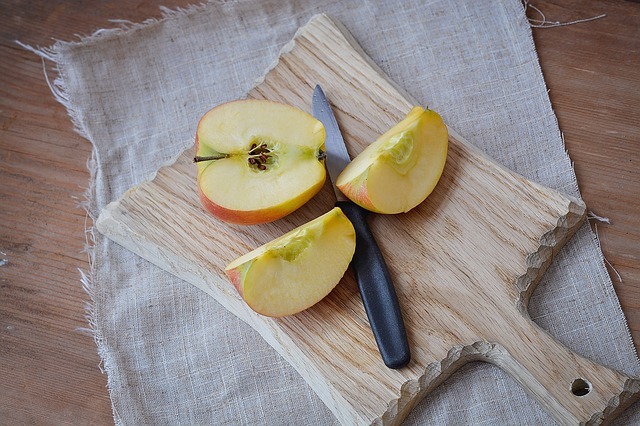 Wood Cutting Boards: The reason for this is because wood is porous, so no matter how much they’ve been scrubbed small amounts of gluten can stay in them. Butter: Even if you know the butter is gluten free and you’re eating gluten free bread, chances are the butter contains bread crumbs on it (if there is a gluten eater in your house) even if you can’t see any. Toaster: All the breadcrumbs from gluten containing products will get you sick, even if you try to scrub it clean. Make sure you have a separate toaster deducted to gluten free items only. Plastic Utensils and Silicone Spatulas: Gluten can stay in the handle or in small scratches on the surface, which can’t be removed. Non-Stick Pans: These items get scratched easily, therefore they harbor gluten. No matter how much you clean them, you run the risk of getting cross-contaminated. Colander: The little holes in colanders are hard to fully clean and can hold traces of gluten. So if you’ve ever used your colander for pasta that wasn’t gf, then cross-contamination can occur. 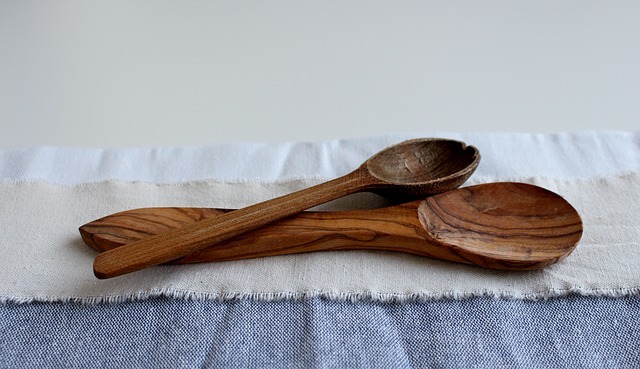 Wooden Spoons: The wooden spoons are porous; therefore gluten can remain inside them. Oven: If you have a self-cleaning oven, use that. If not, then make sure you really clean and scrub all surfaces really well. Don’t forget to really scrub the racks and the drawer under the oven that harbors crumbs. Microwave: I learned this one the hard way. I got very sick one time by using the microwave without a lid on my food after gluten was in it. If I go to someone’s house I bring the lid or heat my food with the Tupperware lid on it. In your own kitchen, be sure to clean your microwave very well, especially the vent inside. I recommend using a plate spatter cover when microwaving your food. Jars of Condiments: Just like your butter, your condiments most likely have cross-contamination if you have gluten in your kitchen. I highly recommend getting your own dedicated gf condiments and label the jars so everyone knows not to use them on gluten-containing items. I also love squeezable condiments because then you don’t have to worry about a knife with bread crumbs going into the jar (just be sure whoever is using it doesn’t touch the tip onto their food). Rolling Pins: If your rolling pin is made from wood and has ever been used on flour, then it most likely is harboring gluten. Remember… anything wood is porous and gluten stays in it! Non-Stick Baking Pans: Just like your non-stick pans, I’m sorry to tell you that these probably contain gluten on them if they’ve ever been used for non-gf baking. Non-stick products scratch easily and gluten sticks to them. Silicone Baking Pans and Muffin Tins: These are similar to your non-stick baking pans, where gluten can stay in small scratches, which can’t be removed. Sponges: Soap doesn’t remove gluten. If you clean a dish that has gluten it’s only seeping into the sponge and will contaminate other dishes. If you must share a kitchen that contains gluten, always have a separate sponge for washing gluten free dishes. Sifter: You shouldn’t reuse a sifter that’s been used with gluten-containing flour, even if you wash it you won’t be able to remove all the gluten molecules from it. Plastic Bowls and Tupperware: This concept is the same as plastic utensils, gluten can stay in small scratches on the surface, which can’t be removed. Cast Iron Pans: Iron is porous, so it will hold onto gluten as do other porous items. If you don’t want to get a new pan, I recommend you run it in a cleaning cycle in a self-cleaning oven (it gets around 900 degrees fahrenheit) and then re-season it. Pizza Stone: Since they’re porous, they will hold in gluten molecules that you can’t clean out. Airborne Proteins: I unfortunately learned this one the hard way too after baking with my grandma using wheat flour (even though I didn’t eat it)! Flour can stay airborne for several afters after use (this is also why I avoid bakeries or pizza places that make things from scratch with wheat flour). If you inhale the flour, you most likely will get sick. For this reason I say don’t let anyone bake in your kitchen with wheat flour. If you must, avoid the kitchen for several hours and make sure all surfaces have been thoroughly cleaned. Tiny Crumbs: You can get cross-contaminated by the smallest crumb, so if there is gluten in your kitchen be sure surfaces are always cleaned and drawers are shut. If a drawer is slightly opened while someone is wiping down the counter, crumbs can fall into and onto utensils (or whatever is in the drawer). Wow! Now that seems overwhelming… doesn’t it?! A rule of thumb to remember is… anything porous or that has been scratched has the opportunity for cross-contamination. I recommend using stainless steel and glass products in the kitchen as much as possible. I promise it’s not as complicated and hard as it sounds. It’s only hard at first when you’re trying to identify where gluten can be. Once you get new items that are strictly for gluten free food, then it becomes second nature! 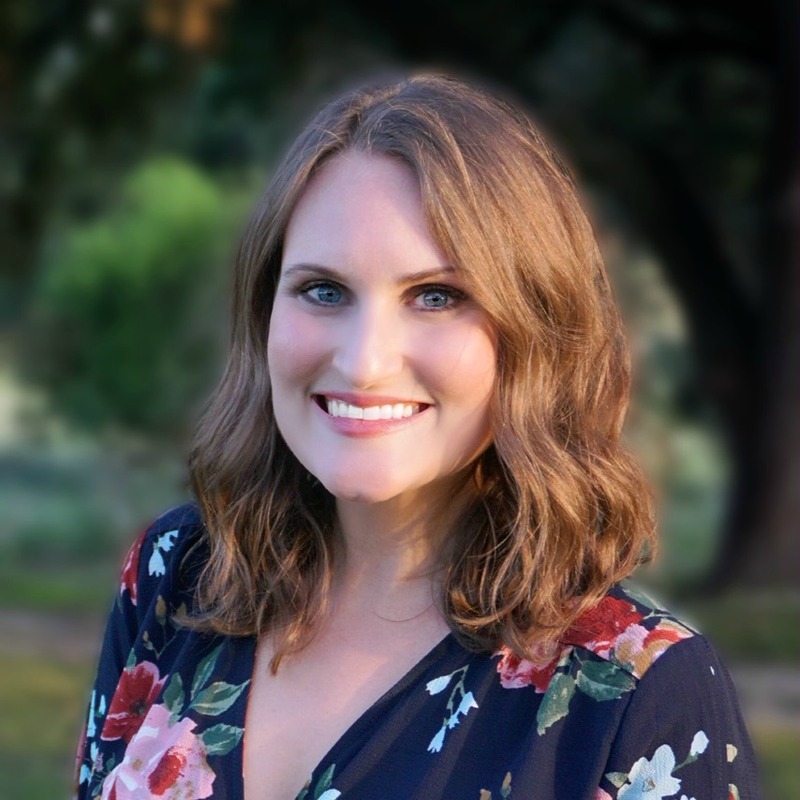 If you’re new to a gluten free lifestyle and feel overwhelmed or are just realizing you may be experiencing cross-contamination, please don’t hesitate to reach out to me for help! Comment below or email me and I’d be happy to help you with your gf journey! *This post contains affiliate links. You can read more about that here. 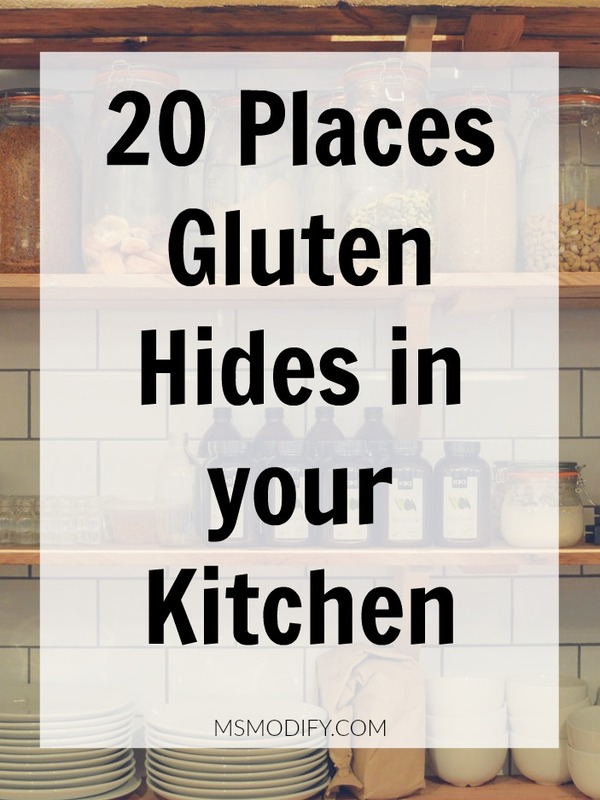 This entry was posted in Lifestyle and tagged celiac disease tips, gluten free kitchen. We also found that the hand soap we were using had gluten in it. I always have my daughter w Celiac wash her hands before eating!! Great, she was spreading gluten in her hands before eating GF popcorn. Our dog detected gluten on her hands even after a food rinsing!! Do not use SoftSoap! Yes GREAT tip! I always buy “EO hand soap” since it doesn’t have harsh chemicals and it’s certified gf! How can you tell if hand soap, shampoo, dish soap etc. has gluten?? I haven’t even thought about that! Most of the time these products don’t say “gluten free” or “contains gluten”, so I recommend you call the manufacturer to see. I know, one more thing to worry about! This is such a great post! When I was first diagnosed it took me a while to realise just how careful I needed to be! Me too! Sad that most doctors don’t educate us on this! Thank you. I see where there are a couple of items I missed like my ancient cast iron skillet. I’ve always wondered if a dishwasher that washes contaminated dishs will spread to other dishes being washed? Anyone know?